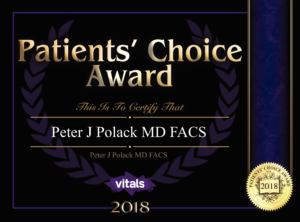 Peter J. Polack, M.D., F.A.C.S. 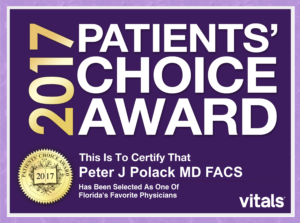 Peter J. Polack, M.D., F.A.C.S., is a fellowship-trained specialist in refractive surgery, cornea and external diseases. His primary interests are diseases and surgery of the cornea, including sutureless cornea transplants utilizing the DMEK/DSAEK method, LASIK, conductive keratoplasty (CK), and photorefractive keratectomy (PRK). 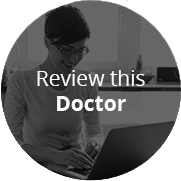 Dr. Polack is a LASIK patient himself, having undergone the procedure in May 2000. Utilizing the latest techniques and technologies of customized cataract care, Dr. Polack gives his cataract patients an opportunity to restore youthful vision and gain freedom from glasses and contact lenses. 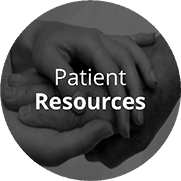 He also receives referrals from other ophthalmologists for more complex cases such as cataract surgery patients who have undergone previous refractive surgery. 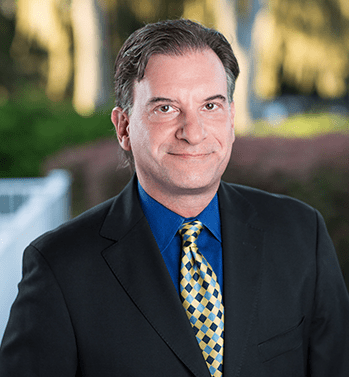 Dr. Polack joined Ocala Eye in August of 1996. He is a graduate of Stetson University and the University of South Florida College of Medicine. After completing an internship at Bayfront Medical Center in St. Petersburg, he was awarded the Dyson Foundation Research Fellowship at Cornell University Medical College. Dr. Polack then returned to Florida for a year, studying corneal diseases with his father, Frank M. Polack, M.D., an internationally-known cornea specialist. He completed his ophthalmology residency at the New York Eye & Ear Infirmary where he was a chief resident. Following his residency, he obtained a cornea and refractive surgery fellowship at the University of South Florida under J. James Rowsey, M.D., a pioneer in refractive surgery. 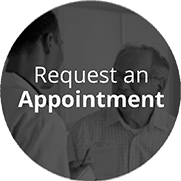 Dr. Polack is a diplomate of the National Board of Medical Examiners and is board certified by the American Board of Ophthalmology. He is a fellow of the American Academy of Ophthalmology, the American College of Surgeons, the American Society of Cataract and Refractive Surgery, the International Society of Refractive Surgery, and other international cornea societies. Dr. Polack has lectured on corneal diseases and has taught courses on corneal transplant surgery to other ophthalmologists. In addition to publishing several articles, abstracts, and papers, he has co-authored ophthalmology textbooks. 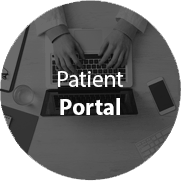 Outside of his practice, he is on the editorial board of Ophthalmology Management magazine, where for the past ten years he has written a column on electronic medical records and technology in the medical practice. He blogs and podcasts on a variety of practice-related topics on MedicalPracticetrends.com and is a Most-Viewed Writer on the expert website Quora.com .